The Castle fandom has gone into a collective panic over the news that the show’s leading man, Nathan Fillion, has signed on for another season should there be one, but the show’s leading lady, Stana Katic, has yet to do the same. While nothing is set in stone, and there is still hope that Katic will stick around, there is one thing we should all be real about: Castle without Kate Beckett isn’t worth watching. Here’s why. 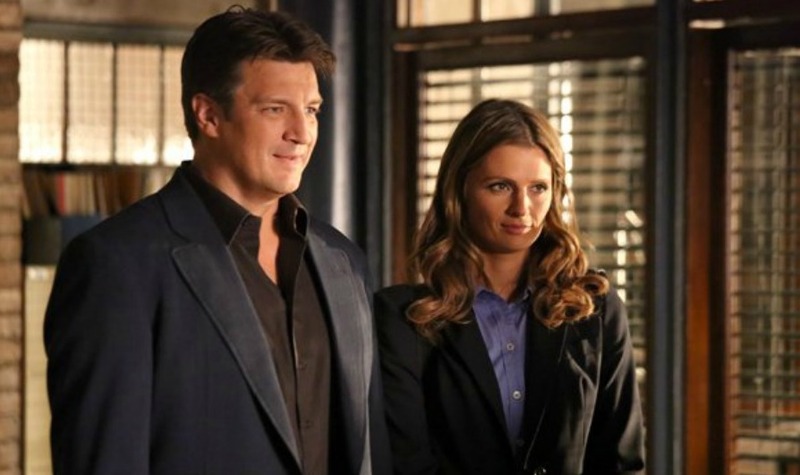 On his own, Castle is a bit of a one-dimensional character who doesn’t appear to take much seriously. But with Beckett, he’s revealed to be a far more layered character, one with depth and feelings that are otherwise buried under a bravado that is only acceptable because we know there’s more to him. In fact, I’d even take that one step further and say that Beckett on her own is more compelling than Castle is alone. That’s why the show was able to focus on the Beckett-centric mother story line for six seasons and retain the investment of fans. I gotta be honest, I kinda tune out a little bit when they’re actually solving murders. Crime procedurals aren’t my thing because there are no relationships to really invest in, and when there are, they’re not meant to be the focus of the show. The reason Castle appeals even though it is essentially a crime procedural is because, at its core, it’s about the connection and the love story between Castle and Beckett, and it’s never not been about that. Without its most rewarding aspect, I’m not convinced this show can sustain my, or anyone else’s, interest. Castle works because of the yin and yang, push-and-pull aspect the two main characters bring. Furthermore, Castle is a likable character purely because of the other people in his life who are able to illuminate his appealing qualities — like Alexis, his mother and, mostly, Beckett. Without Beckett to balance him out and his obvious love for her, Castle comes off as a narcissistic womanizer who behaves like a child. Those aspects of his only become charming because Beckett is there to foil them. In Hollywood, there is the holy trinity of amazing hair: Connie Britton, Jennifer Aniston and Stana Katic. All three women have hair so amazing that it gives us hope for the possibilities of life. Sure, they are naturally beautiful, but they are living proof that you can look downright hot with the right hairstyle. If you need evidence, just contrast Beckett’s hair in Season 1 with her hair any time beyond Season 3. Without Stana Katic, Castle will be void of inspirational hair and, frankly, that’s just not going to fly with me. Seriously, every option just doesn’t appeal. If Beckett dies, I’m out; I just wouldn’t cope with that, nor would I want to watch Castle have to cope with that. If Castle and Beckett break up and she moves elsewhere, I’m out; so much time was spent getting them together that pulling them apart would just be a waste of every fan’s investment. If Beckett gets a different job, but Castle stays at the precinct, I’m out; what would be the point of following his journey if she weren’t a part of it? Basically, I’m just not convinced there is any scenario in which a physical absence of Beckett would make this show one I want to watch. Would you watch a Beckett-less Castle?